Forgiveness is something that many of us have a very difficult time with, either for others or for ourselves or both. This blessing will assist you in letting go. It will help you, as much as you will allow, in reaching into the depths of your soul and to God/Source/Universe, and allowing the surrender of judgments, anger, blame, unworthiness, etc. 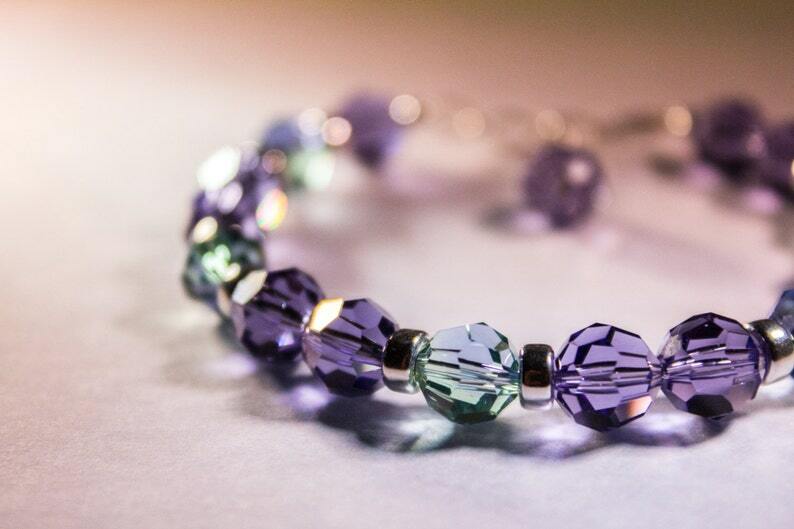 These Swarovski crystals have been energetically cleared and infused with sacred energy to become a direct link to the Divine so that you will continuously receive all the energies of Forgiveness that you are ready for, and exactly what YOU need. It will help you to gain a sense of how much we hurt ourselves by holding onto all that we cannot forgive. These effects show up as pain, illness, disease, emotional and mental instability. This blessing can help you to get in touch with your compassion, your willingness to choose love and understanding, no matter what you are holding onto, if you have the willingness deep within to allow this assistance. We would like to be clear that forgiveness is NOT about forgetting. Rather, by letting go of our emotions around an issue, we can heal ourselves and others, and therefore the memories can be without pain. May these beautiful jewels bring to you all that is possible and with the joy and glory of the love and gratitude from which they were created.